Time for a good, old-fashioned, high-on-my-horse rant. Whenever someone tells me that they’re thinking about adding a dog to their family, I strongly encourage them to consider the local Humane Society or an animal shelter. Responsible people looking to own an animal really have no reason to consider any other option. According to the Humane Society website, 2.7 million… that’s the number of adoptable cats and dogs euthanized in shelters each year across this country. The average cost to shelters for euthanizing an animal is $50. So this country spends 135 million dollars on killing animals every year. Then consider the costs involved in employees at shelters, vehicle upkeep, food for the animals, veterinary care. Of course, some of this is offset by animal adoption fees. But the majority of this is paid for by you and I— with our tax dollars. Impact on our wallets aside, what about the impact on our hearts? Are you really comfortable knowing that 2.7 million adoptable animals are killed each year in this country? I’m sure as hell not. And why do we have this problem? Because irresponsible people make impulse purchases of animals, to please a child or feed some crazy guilt trip. And six months later, the dog ends up in a shelter because the foolhardy decision has caught up with the family— when the kids don’t care anymore and Fido has pooped in the house one too many times. Is it acceptable to take a trip to your local mall, with the intention of seeing a movie or building-a-bear… only to come home with a real, live, beating heart that you’ll be responsible for— for 10-15 years? I don’t think so. Yet, that’s exactly what goes on at my local mall, with a business called The Family Puppy. Cute name, eh? Sounds so innocent. In 2012, The Family Puppy’s largest supplier, Marlin Bontrager of Rome City IN, was cited for direct veterinary care violations and when the inspector returned there were six more violations including more veterinary care related violations. Two other main suppliers, Lavern Whetstone of Goshen IN and Verlyn Weaver of Topeka IN, were cited for not seeking veterinary care for animals that were in pain and suffering. Whetstone was told by the federal inspector to seek veterinary care and the kennel instead had a “non-professional” remove the membrane of a dog with cherry eyes. Weaver was cited for a pregnant dog with a build up of thick dark crust on her teeth. The store continued to work with both breeders despite these continued violations. Here in my area, there is even an attempt to initiate a City Ordinance which would ban the retail sale of puppies. Here is where my conservative values clash with my liberal views. The conservative in me says that businesses have a right to sell what they want. The liberal in me says that shelters are the way to go when choosing an animal. And then the conservative in me also looks at the issue of this business costing the city more in the long run, when they will eventually contribute to the pet population that winds up at the shelter. So what is the answer? Let The Family Puppy run their business. But use my conservative and liberal right to free speech to not support their business and encourage others to do the same. Bottom line: if you want a dog, go visit a shelter. Do some research. Don’t make an impulse purchase. Wait. Exercise patience. The world will be better for your restraint. And if you expect my friendship after supporting a business like The Family Puppy? I don’t think so. 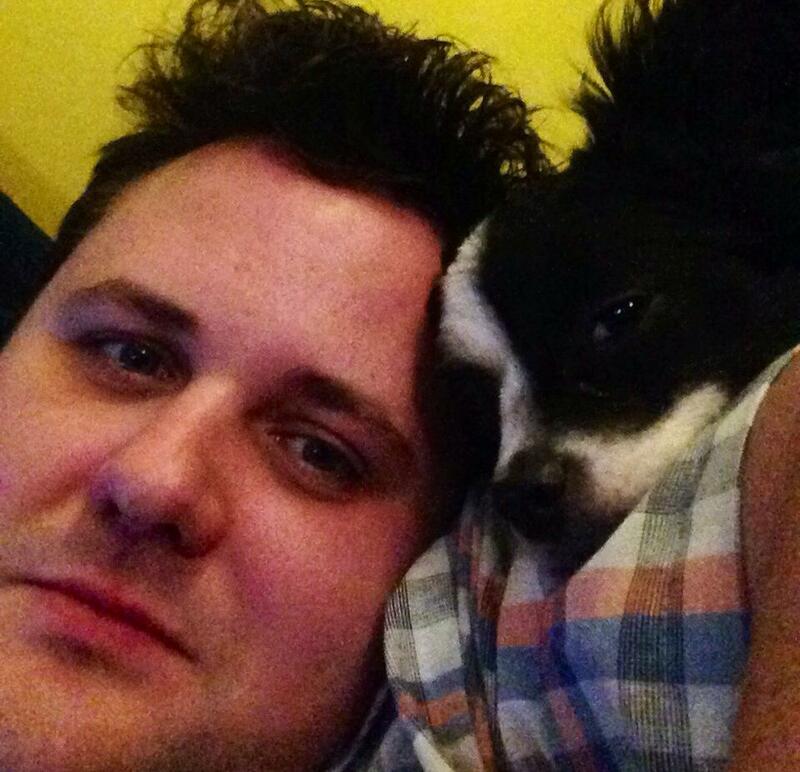 By the way… here is me and Zipper. I wanted a Papillon from a shelter. Almost impossible. So, I waited. And waited. And waited. About 18 months went by… and then I saw him smiling at me on my local shelter’s Facebook page. The wait was worth it. 2. Jump on the Pete bandwagon and purchase Pete the Popcorn 2! This book teaches children all about the Popcorn Principle of honesty! It’s available here! I forgot how to use this thing… almost. Wow… July 31st was my last post? JULY 31? A lot can change in life… fast. And mine sure has proven that. On July 24th, I started a new job. Yes, I write books for children. Yes, they pull in some money. No, they don’t pay for cars and houses. So I do have to work in between playing an author writing a blog. Okay, that’s an old photo. Yep, I’m officially an autoworker. A member of the UAW. I’m building cars. And what fun it is! No, really… I do enjoy it. The people I work with are fantastic. The money is good. And the machines don’t talk back. What do I do, in particular? And what do I do? I install the rear bumper… or fascia, in technical terms. Oh, I do other stuff, too. But that’s the easiest part to explain. So why am I writing here now? Truthfully, I’ve missed it. I’ve missed it terribly. My favorite part was reading comments from perfect strangers from all over the world. But I just haven’t had time… that lame excuse that everyone turns to now and again. I’m going to strive to make time. Starting today. Speaking of today… it’s National Popcorn Day. 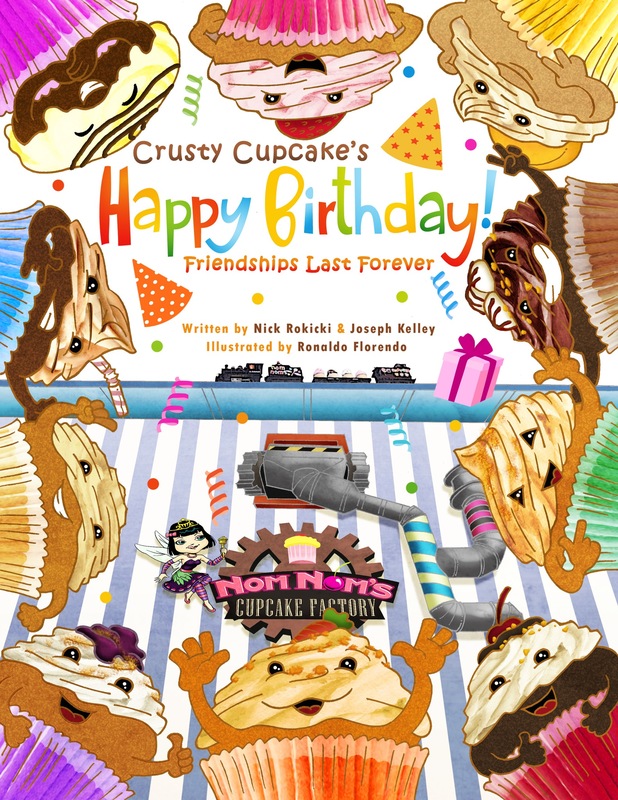 Some of you read this blog because you know that I’ve written a few books for kids. It came out back on November 1st… and I think it was the best one yet. The message? Children should learn that having friends is the best gift there is! Incidentally, since today is National Popcorn Day… and my first book for children was called Pete the Popcorn… what might be going on in my world today? Pete the Popcorn 2 introduces a few new characters, including Policeman Parker Popcorn. So many children, especially in inner cities, only look at police officers in a negative light. We wanted to change that. We wanted to teach kids that police officers are here to help… to protect… to serve. The book also touches on honesty. 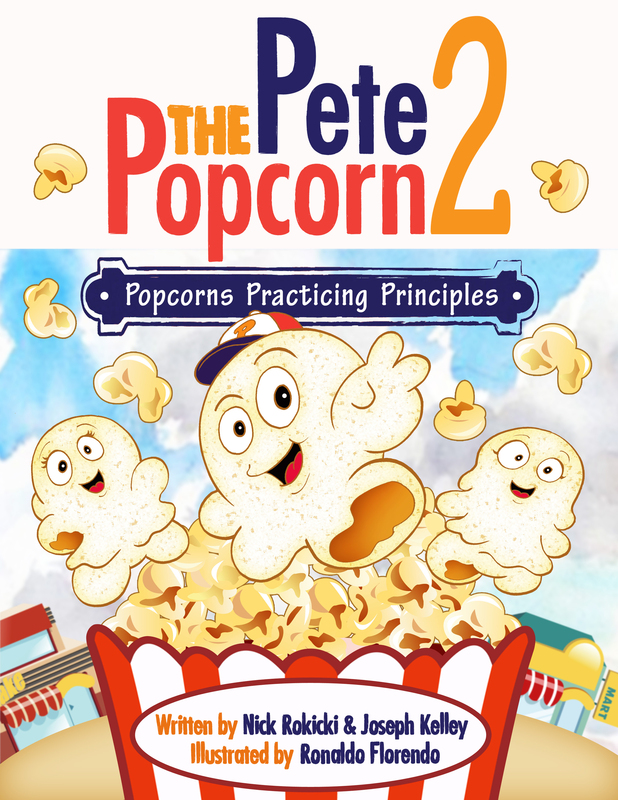 And we are using this book as a launching point for our series discovering “Popcorn Principles.” Each book will explore a different principle that we as a country hold near to our hearts. And these principles are ones that kids can begin practicing today. How can you help? As usual, share this post. Take to Twitter and Facebook. 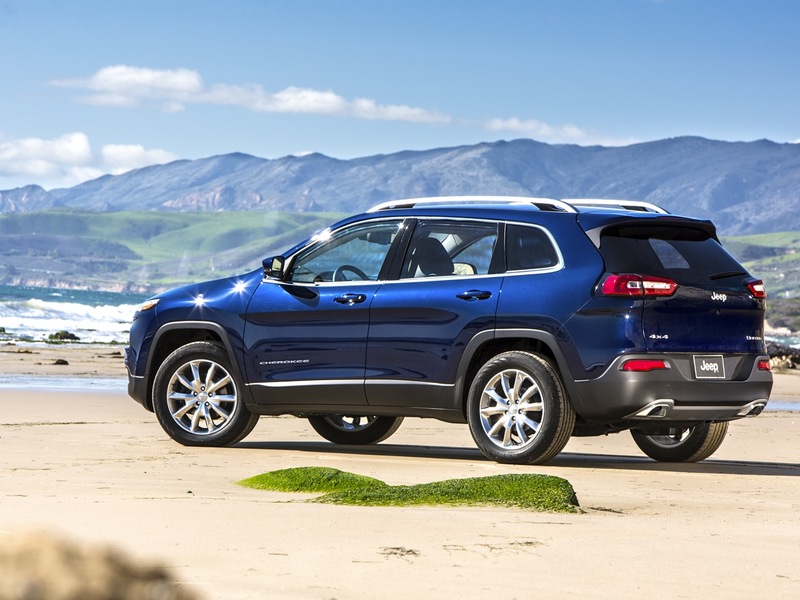 Tell folks about the fledgling author that also builds Jeeps. Help me make a difference by buying some of my books on Amazon. And then get a friend to do it, too. My life since July in a cute little nutshell. Talk to you soon. Hold me to that. Please. My Kid Wants Peanut Butter — to Hell With Your Allergies! Pete the Popcorn co-author Joe Kelley really knows how to open a can of worms. He has a ton of friends on Facebook and I think Joe has “groomed” them to be very opinionated. Joe knows how to rile people on Facebook, throwing out an opinion or two, here or there. This, in turn, makes them a little more comfortable spouting their opinion. Now, this is just my opinion. Get it? This is all about opinions. And then we have people, like myself, who want to get to the base reason for all of it: why are these nut allergies simply exploding in our Nation’s youth in recent years? Carolyn’s comment above struck home… I took it as this: we get this worked up over peanut butter, but allow our kids to play shoot-em-up video games and nobody debates that. And then, in this epic battle, we have a bomb-thrower… someone that enters the conversation to blow things apart and get people more riled than ever, prompting them to throw out the rulebook and express their true feelings! I think I just created a new reality television program. Someone starts a discussion on Facebook about a controversial subject, the people go crazy and there will be a highly-accomplished play-by-play announcer making comments. Could be Fun Friday Facebook Fights… although this one was on a Tuesday. Hmmm. All-in-all, this thread ended up with 80 comments in the span of about 16 hours… people are passionate. So, what are your thoughts? Can I re-ignite this Peanut Butter conundrum here? Do you have kids with allergies? How do you and your school handle it? Would you have an issue withholding peanut butter from your child, in order to comply with the needs of another child?